Today we’re taking a look at the impact addressing the Spectre 'Variant 4' CPU flaw has on Intel's 8th-gen Core CPUs (Coffee Lake). Back when the Meltdown and Spectre vulnerabilities were made public in early 2018 we knew this was going to be an ongoing process. Speculative Store Bypass affects not just Intel but also AMD and ARM. That said, AMD and ARM processors can be fixed via a simple software update, so if you keep your operating system and web browser up to date you’ll be protected against Variant 4 automatically. If you’ve got an Intel processor, fully mitigating the issue requires not just software but also firmware updates, in other words a BIOS update. Intel started shipping microcode patches for Variant 4 to its hardware partners in beta form a few months ago and only now we’re starting to see manufacturers pushing them out. In fact, to my knowledge Asus is the only board maker to do so thus far. However while the latest round of BIOS updates from Asus does include the updated microcode for Variant 4, it’s not enabled in Windows by default. Right now it has to be manually enabled by adding a few registry keys. It’s likely at some point this will be done automatically. I suspect Microsoft is worried about a repeat of the disaster they encountered when addressing the first wave of vulnerabilities, so this time they’ve taken a more cautious approach. Intel’s said enabling the fix will lead to approximately a 2 to 8% decrease in performance and this was observed when benchmarking with SYSmark 2014 on client and server test systems. I’m sure what many of you want to know is what kind of performance impact this will have on your system. For AMD users there's supposed to be no repercussion, and that's something we'll be looking into soon. For now we’re going to see what effect this has on those using a Coffee Lake CPU (8th-gen Core) which is the only platform to receive the BIOS update so far. 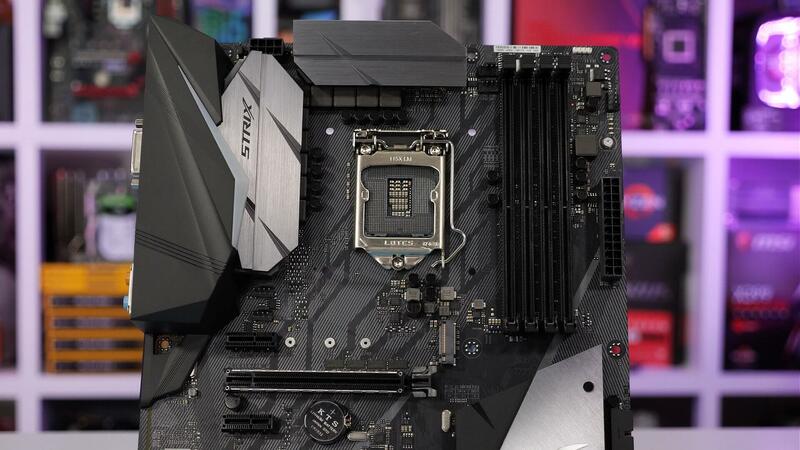 For testing we're using the Core i7-8700 on the Asus ROG Strix Z370-F Gaming motherboard using BIOS version 1002. I’ll be comparing results with SSB enabled and disabled, enabled will be labeled as “pre-update” and disabled as ‘Spectre v4 Update’. So with that let’s get to the results. First up we have the Cinebench R15 results and here we see no change at all with the variant 4 patch enabled, the single thread score goes unchanged and the same is true for the multi-core score as well, 3fps is well within the margin of error here. The CPUz benchmark saw a 3% decrease for the single thread test and just 1% for the multi-threaded test and these results were repeatable over and over again. The Corona benchmark was run half a dozen times for each configuration and we found the variant 4 mitigations impacted performance just 1%, not a lot but we did consistently see a 1% reduction in performance. Here we see no change in performance when testing with 7-zip, less a 1% difference between the two test configurations. Moving on to some gaming and we find very little chance when benchmarking with Battlefield 1, the 1% low result was consistently lower with the variant 4 update enabled, that said we are only talking about a 2% drop off in performance. Far Cry 5 only saw a 1.5% drop off for the average frame rate with a 1% change for the minimum and although the variant 4 update did make the Core i7-8700 consistently slower by 1 - 2 fps, it’s not exactly a big performance hit. We again only see a 1 - 2 fps hit when testing with Rainbow Six Siege. Finally we took a look at Fortnite and here we see a slightly larger 3% drop off for the average and frame time performance. Again not a big change but we were constantly seeing a 4 - 5 fps drop in performance. 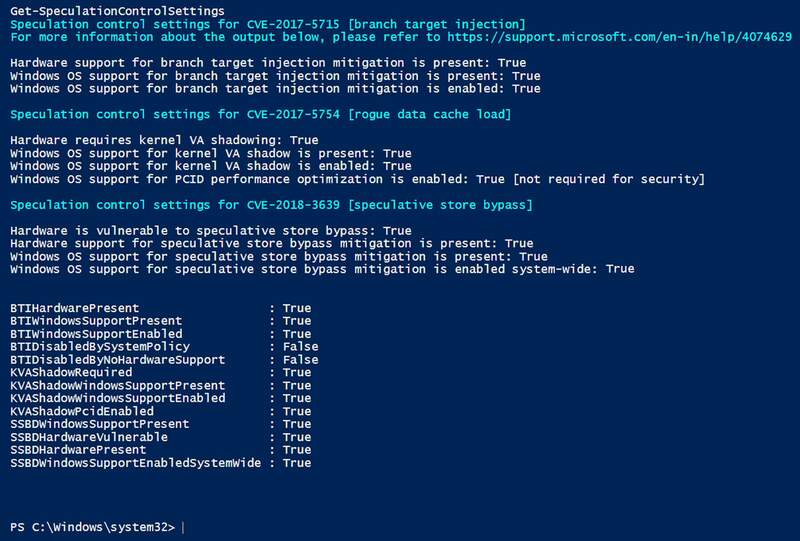 Intel anticipated a performance hit in the range of a 2 to 8% when addressing the Variant 4 vulnerability by disabling Speculative Store Bypass, but in our tests it looks more like 1 to 3%. The impact for Linux users appears to align closer to Intel’s claim and we believe this comes down to the Windows scheduler which is less efficient than Linux's. When patching Variant 1, 2 and 3 we had found reduced gaming performance on the i7-8700K by up to 5%, though for the most part we saw a 0 to 3% decrease in frame rates. Variant 4 has seen a further 1 to 3% dip, though this time we were testing with the non-K 8700, but the margins should be much the same across the entire range. In other words, since December the gaming performance of Intel Coffee Lake CPUs is down by 1 to 6%, or about 1-2 fps in games pushing over 60 fps and up to 5 fps for high refresh rate gaming. Definitely not a huge deal overall, but it’s worth keeping in mind that Intel will suffer an IPC hit because of this with future architectures that address these vulnerabilities at the hardware level. Those of you fortunate enough to own an 8th generation Intel Core processor don't need to worry about your games turning into a slideshow as the performance impact is not significant. But even if it was, we would have strongly recommended you update your BIOS and enable the mitigations as soon as possible.